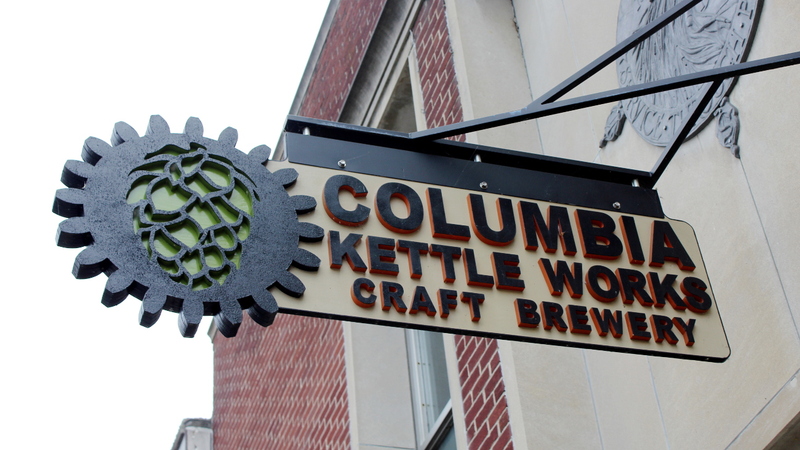 I have been a big fan of Columbia Kettle Works (CKW) since they opened in May of 2014. They started out right with a great location in a town that was looking to welcome a new brewery. They opened slow, working their “regular jobs” full time while also doing their dream; that is probably still true. They were brewing beers that they like. I and a bunch other people, if you look around the place, appear to like them too. The beers started out good and have consistently improved along the way. I have been to CKW about a dozen times over the past year to either get a couple pints or to fill a growler or two. Each time the beer is just a little bit better. They give a damn about the beer. The beer is the product. That is evident by the quality and the set up of the brewery/bar. So I am really happy to see they are celebrating their one year anniversary this Saturday while taking a step towards the future. CKW recently hired Chad Rieker away from Iron Hill Brewery Lancaster. Rieker is a 6th generation brewer from Columbia. His brewing genealogy stretches back to the Rieker Star Brewery of Lancaster. This pedigree is just freaking cool and he is returning directly to his roots by brewing in Columbia. This hire in my mind is a big commitment to the business and a sign of more great beers to come. Brewing is naturally a collaborative process and adding Rieker to Rod Smith’s brewing acumen appears to be a brilliant move. Also, I secretly hope he brings his St. James Brown ale along with him to CKW as I really liked that beer at Iron Hill. If you attend the anniversary party at CKW on Saturday expect some live music and more importantly some great beer. First they will be tapping Rieker’s first beer at CKW, “Convocation” a Belgian Dubbel. They will also be breaking out a Ginger Saison, a very small batch of Belgian Peach Blond that sounds amazing, a new batch of their collaboration ale, Kettleface (brewed with St. Boniface) and most excitedly a Belgian Dark Strong Ale that has matured for four months in a bourbon barrel behind the bar. Seriously I have been watching that barrel each time I go… I think it is going to be great. Cheers to Columbia Kettle Works on their first year and may they have many, many more. < Previous Another Reason to Celebrate Craft Beer? Good!